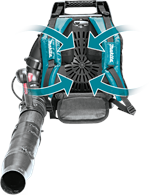 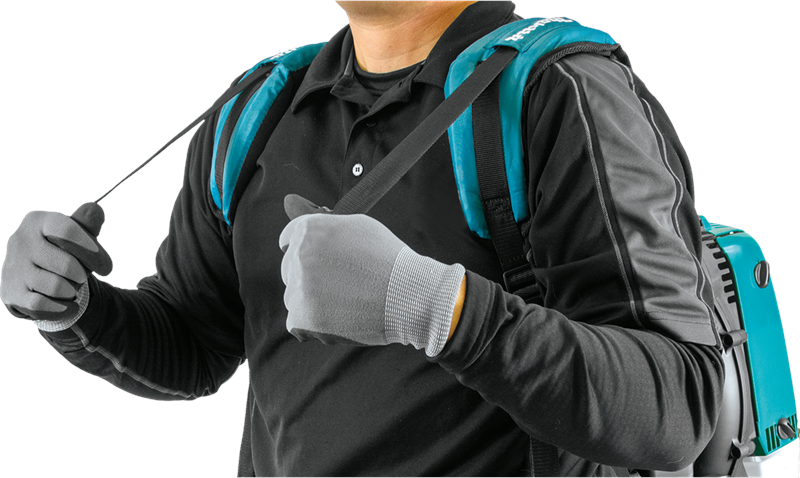 Makita’s 75.6 cc MM4® Backpack Blower (EB7650TH) combines a cleaner-burning 4-stroke engine with quieter operation and the convenience of no fuel mixing. 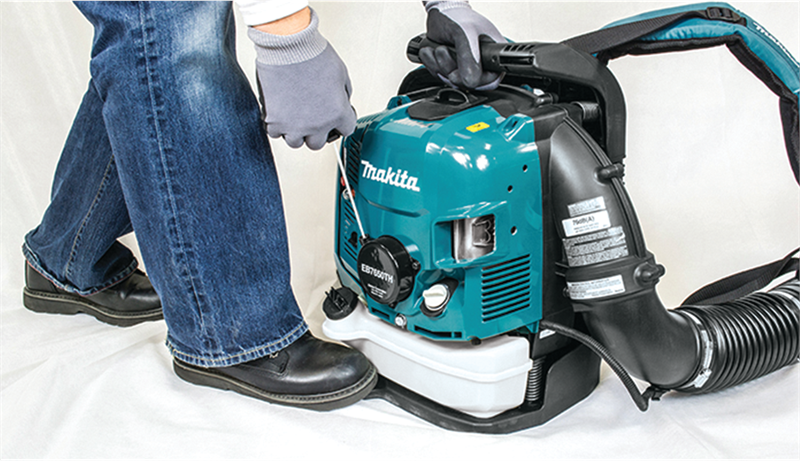 The cleaner-burning, fuel-efficient EB7650TH is a true step-up from older 2-stroke motors. 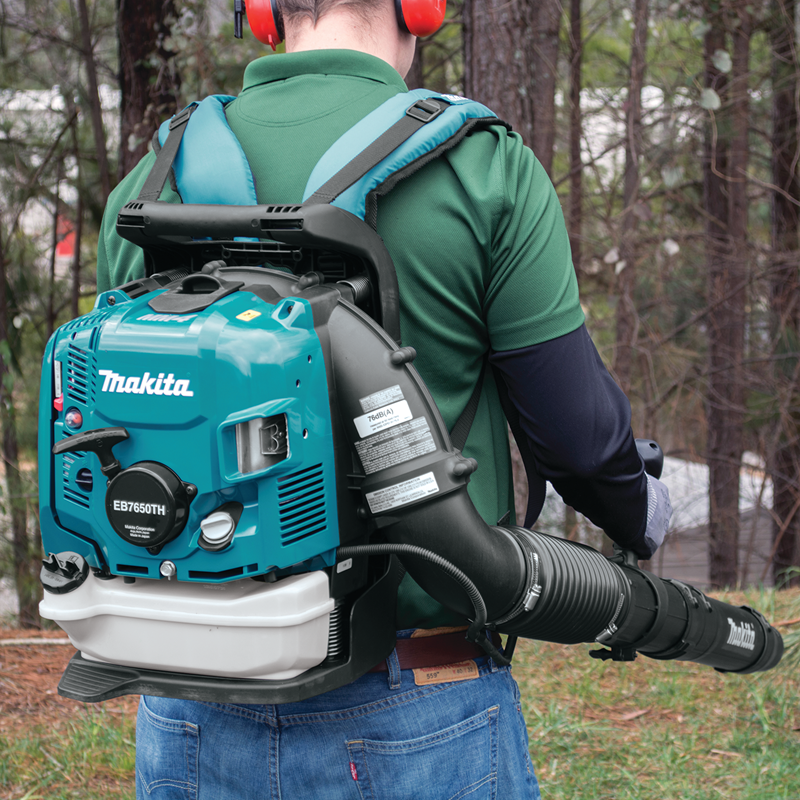 It’s engineered for commercial lawn and garden work, and is ideal for any professional seeking a best-in-class backpack blower. 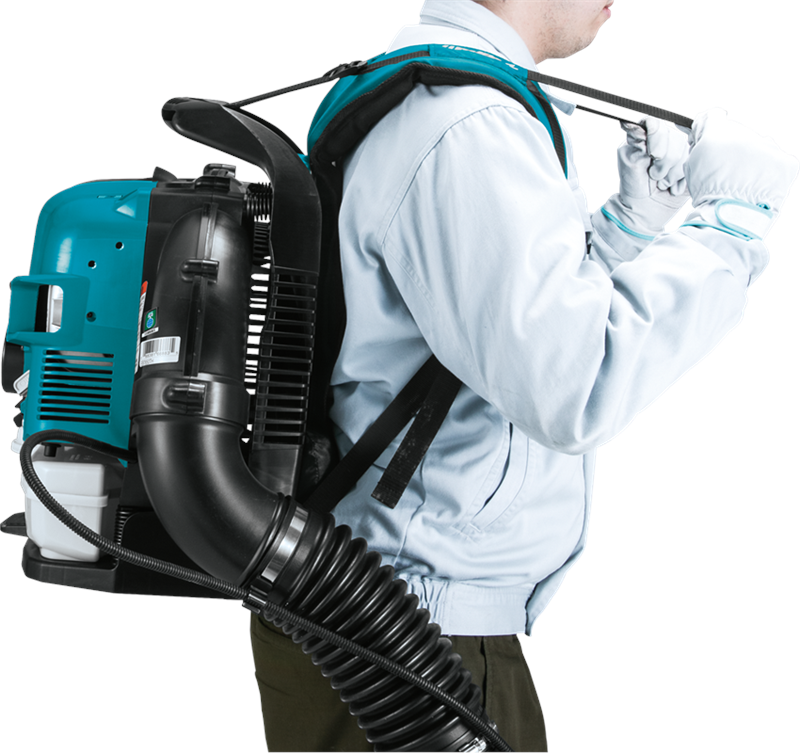 The EB7650TH is powered by a 75.6 cc commercial-duty 4-stroke engine that requires no fuel mix and will deliver commercial duty performance with a maximum air speed of 200 mph and a maximum air volume of 670 cubic feet per minute. 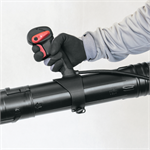 The mechanical automatic engine decompression is engineered for quick and easy starts, with heavy duty anti-vibration mounts between the frame and engine for improved operator comfort. 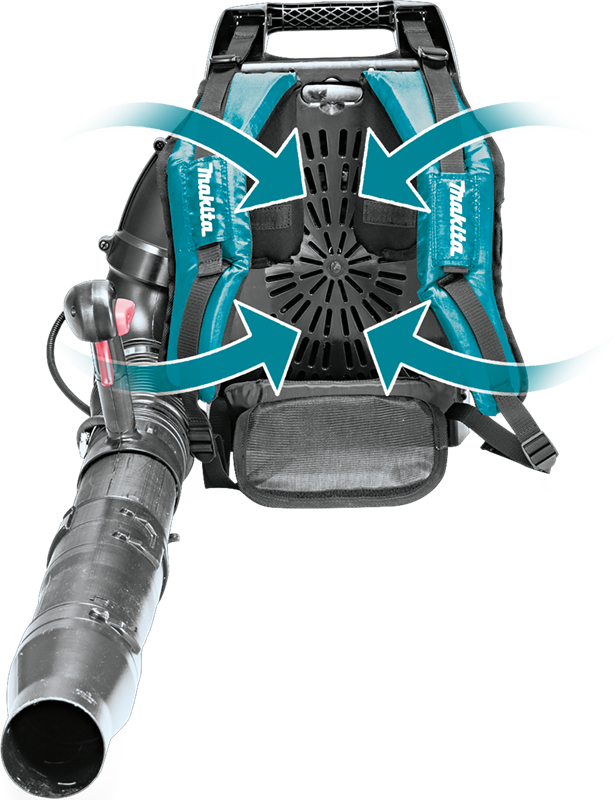 The EB7650TH is compact with less weight (only 24.1 lbs.) 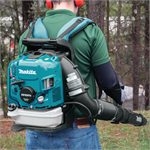 with wide padded straps and padded back panel for operator comfort. 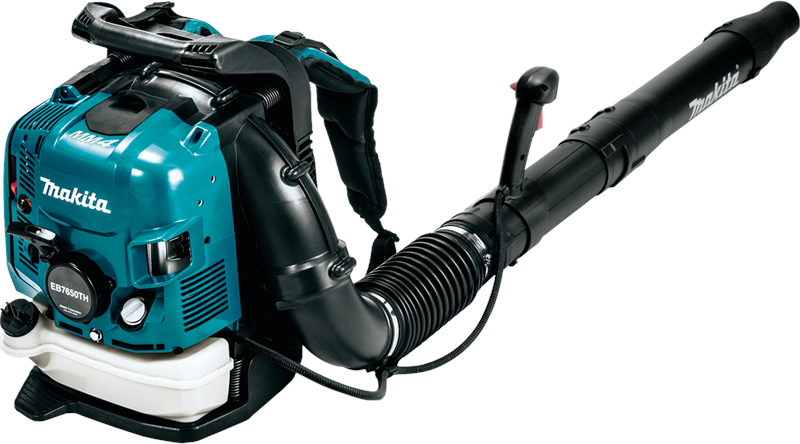 In addition, the large capacity muffler ensures quiet operation at 76dB(A). 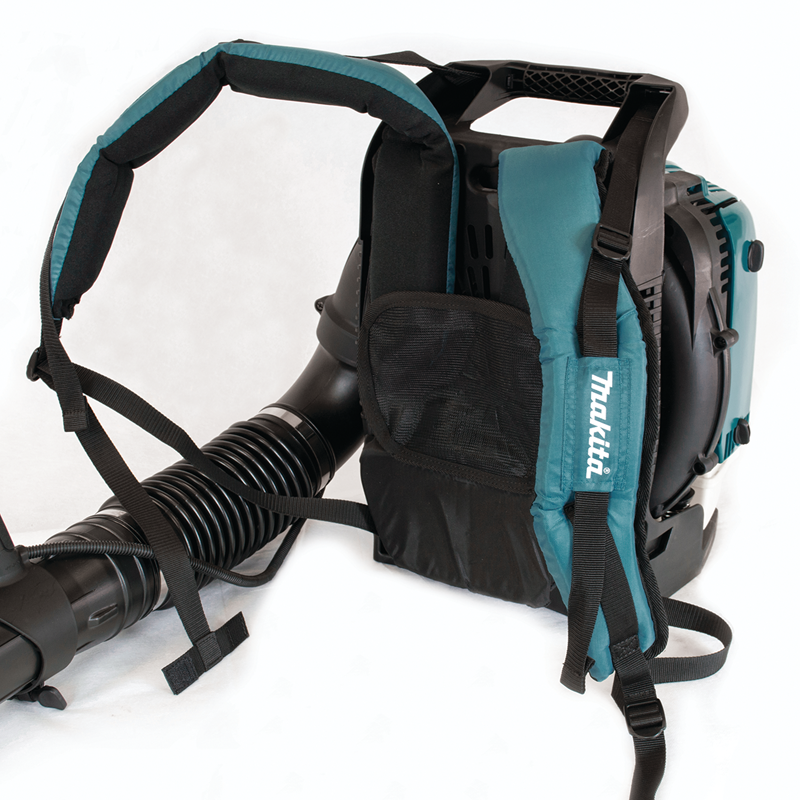 Fuel Tank Capacity :64 oz. Crank Case Capacity :7.4 oz.